Aleksandr Orlov (the meerkat from the Compare The Meerkat/Market commercials) has been a huge success for the company's brand awareness and the character appears to have been warmly adopted by the UK audience. It has also been great for the awareness of Meerkats! 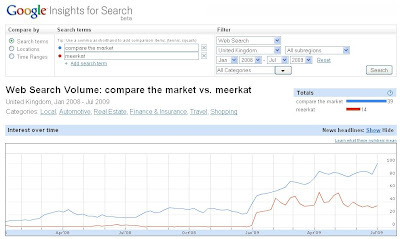 The graph below shows how the interest surrounding 'Compare The Market' and 'Meerkat' really took off in January 2009 with the launch of the first Aleksandr Orlow commercial. As time goes on the interest only seems to keep building. 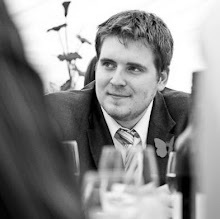 We can now add interviews in a number of press publications to the list. To coincide with a feature in 'The Sun' Newspaper, a video interview with Aleksandr Orlov has been created and uploaded onto the CompareTheMeerkat YouTube channel. The video continues to build upon this brilliant personality that the character has been given and never fails to make me laugh (or at least smile). I look forward to even more great work. I see that you mentioned looking forward to more comment. Have you seen the new video for comparethemuskrat that is on You Tube today?